– Possesses a “plus” first step when asked to press the hole. – Reaches top end speed quickly when accelerating into the second level and has the initial burst to outpace an angle. – Showcases natural patience/feel at the line of scrimmage. Possesses the vision to pick his way through tight areas and quickly see the cut back lane. – Exhibits “plus” foot quickness laterally with the fluidity in the hips to cleanly work the cut back lane back across the grain, square his body and attack up field. – In tight areas does a nice job widening his base, keeping his footwork under him and taking compact steps. This allows him to keep his balance when changing directions and accelerate quickly in and out of his breaks. – Drops his pad level well when asked to finish runs. Sees a crease and does a nice job making himself small, churning his legs and finishing through contact. – Possesses good straight-line speed once he gets into the open field, looks like a mid 4.4 guy. – Is very natural working perimeter runs. Is patient letting his blocks set up on the edge, working the grain and sticking his foot in the ground when he needs to get up the field. – Is fluid enough on the edge to accelerate around the corner. – Showcases the natural power and pad level to run through tackles once he gets a defender off balance. – Has been very productive during his two seasons playing for the Hurricanes, rushing for over 1,200 yards and 5.6-yards per carry as a sophomore. – -Doesn’t have a ton of wear and tear on his legs, with only 335 carries during his college career. – Can catch the football out of the backfield. Looks natural adjusting to the throw, maintaining balance and creating after the catch. – Lacks an overly thick base and despite his 6-0, 212-pound frame looks thinner through the legs and durability is a bit of a concern. – Tends to get upright as a runner initially when asked to press the hole and once he gets into daylight. This limits his ability to break tackles consistently inside and/or make defenders miss. – His overall running aggression will run hot/cold at times. Will get caught almost going through the motions at times and I don’t always see the violence I expect from him as a runner. – Tries to be overly patient at times tip toeing his way to/through the line of scrimmage. Takes his fair share of negative plays trying to allow blocks to set up and gets caught slowing his feet in the backfield. – Has a tendency to get content running laterally too often trying to outpace defenders when he doesn’t feel a hole quickly. – Picks his way through tight areas well, but I don’t see a “plus” “make you miss guy” inside as he tries to run away from defenders too often because of it. – Is still developing in blitz pick-up. Doesn’t stay real patient/balanced into contact, which causes him to get upright and either lack power at the point of whiff on the block all together. Impression: Possesses a good first step, a natural feel between the tackles and exhibits the cut back ability to slice his way up the field. However, looks more like an ideal fit for a zone-blocking scheme because he isn’t a guy who is going to make a ton of NFL defenders miss or break many tackles inside. Pros: Miller is an old-fashioned I-formation tailback. He takes the handoff or pitch, reads the block of the fullback, makes a cut, and keeps his legs pumping for extra yards after contact. When lined up as a single-setback or in shotgun, he attacks the hole quickly, though he will sift and make quick cuts to elude a defender in the gap. On sweeps, he does an excellent job setting up his blocks, patiently waiting until defenders are engaged before knifing upfield. Once he makes his move upfield, Miller does not shake-and-bake much, but he is quick enough to make flat-footed defenders whiff, and he is a very strong finisher. That finishing ability makes Miller a very effective interior runner for his size, allowing him to turn three-yard gains into five-yarders. He can blow through arm tackles. Miller does not get high marks for elusiveness, and he looks a little tight when trying to change direction or bounce outside. Still, he has made some big plays when reversing field: he had a Marcus Allen-type run against Virginia Tech, for example, when he swept right, found nothing doing, and crossed all the way back to the left sideline for a long gain. Plays like that are not a huge part of his game, however, and he is more likely to put his nose in the pile than to try any Barry Sanders-style heroics. Cons: Miller lacks experience in the passing game. He appears to have good hands and tools, but most of his receiving production came on screens and dump-offs, and he earns low grades as a pass protector. Remember that these are major flaws for an NFL back: most teams do not line up in the I-formation 40 times per game anymore, so an every-down back must block and catch more than screen passes. Despite his 40 time and track-and-field background (he was an anchor-man in the 4X100 relay), Miller does not appear to play to his timed speed. Part of the problem is his lack of change-of-direction quickness; Miller usually finds his final gear after he bursts through the secondary. Conclusion: Miller offers such an intriguing production/potential combination that many teams will consider him in the second or early third round, even if they only project him as a committee back who leaves the field on passing downs as a rookie. Miller has a lot of room to grow and could become a bell cow in a Mike Shanahan-Gary Kubiak offense or the slasher in a power-based running game. His upside is very high; his downside is as a specialized back who loses playing time because he never develops as a blocker and receiver. NFL Comparison: Ben Tate, Houston Texans. One-cut, stretch-zone slasher with big-play ability who is still rough around the edges. However, there is another play speed he could reach once he develops physically, learns to be more efficient with his steps and improves his all-around game. Has big upside. Lamar Miller is big play big back. Good size. Good speed, although better timed.Good cutback. Can break away. Patient. Needs to work on pass pro and receiving. Needs to play faster. Might be better in a zone blocking scheme. Miller has a lot of potential, but I wonder if he’s better in a zone. That said, he could still fit in a power scheme that the Giants run. 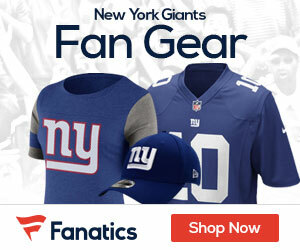 Giants need depth at running back with Bradshaw always nicked up, Jacobs is San Francisco, and Andre Brown suspended. Miller could be the pick at 32. He and Bradshaw could form a nice duo. Miller is not yet able to stay on the field on third down, but DJ Ware has kind of taken that role over anyway. Lots of upside with Miller.Would be a perfect fit for Bradshaw. People forget Scott’s last game was a bowl game in which he ran for over 200 yards, he also ran for over 100 yards against the Pats in the last preseason game even though it was against the second team defense. He has 4.2-4.3/40 speed and has improved his leg strength over the season. I think this kid is going to do some major damage, all he needs is a little crease and he’s GONE, nobody in the NFL can catch him. What a potential weapon, gotta get that OLine fixed so they give him just a little hole to run through. He’s much more powerful than people realize. Plus I would like to see Hynoski run the ball on short yardage, he did run well in college. I don’t think the Giants need to spend a draft pick on a running back early in the draft. Plus there will be some veterans looking for jobs that can be used as a third back. TE and a backup WR are more important needs on offense IMO, you can add an OLineman to that too. People should remember the chances of a rookie playing are slim under Tom Coughlin, unless they are pressed into service because of injury.